We arrived at Typhoon Lagoon at 9:30am and were able to walk straight in, as the Water Park didn’t seem to be too busy at all. We all were keen to take advantage of this and so as soon as we had found our area at Sharks Reef we ran off in search of a thrill before the crowds came. Our first water slide of the day was Crush ‘n’ Gusher. This was great fun as it is a multi-person, roller-coaster-like raft ride. It is also one of the parks signature attractions, so if you arrive when crowds are low, then I advise you go straight for this as queues get longer as the day goes on. The water slide has three distinct slides for you to choose from; Banana Blaster, Coconut Crusher and Pineapple Plunges all with small but steep drops. The fact that you are lying down on the raft as it sips along the slide, gives you the illusion that you are going faster than you really are. Even though you are of course completely safe on the ride, there is the added thrill of feeling like you flip out of the raft. The ride finishes by dumping your raft out of the slide and into the pool which is great fun…my only slight gripe was that the slides weren’t longer! As soon as the ride is finished I can guarantee you will want to run straight back up and do it all over again and again. Although I could have stayed on Crush ‘n’ Gusher for the entire time we were at Typhoon Lagoon, I knew there were even more rides out there just waiting for me to enjoy and I wasn’t wrong! Humunga Kowabunga was next up and I had no idea what I was getting myself in for as I just sat myself down at the top of the slide with two of the other girls beside me. We quickly just counted to three and let go together, before I knew it I was hurtled over 200 feet downhill at a 60 degree angle in the dark all the way to end. Although it was over in flash this ride made my heart race and put an even bigger smile on my face. 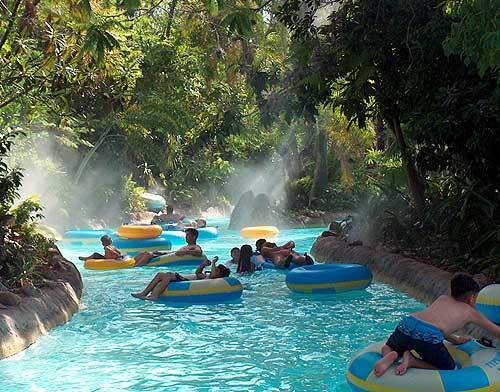 My other favourite things that I did at Typhoon Lagoon was gliding down Castaway Creek in the sunshine, which is the lazy river that circles around the park and jumping over the 6 foot waves in the main pool. After lunch and a quick change back at the hotel it was time for lights, camera action at Disney’s Hollywood Studios our fifth and final park trip. We made a beeline straight for Rock ‘n’ Roller Coaster which great for the fearless among you as this ride races around the track reaching speeds of over 65 mph! This attraction tells the story of rushing you to an Aerosmith concert VIP style. You will hop inside a gleaming, super-stretch limo and blast off into Los Angeles at night with hard-rockin’ grooves of Aerosmith echoing all around you…will you make it to the concert of the year in time? I love this ride and if you love speed you will too. 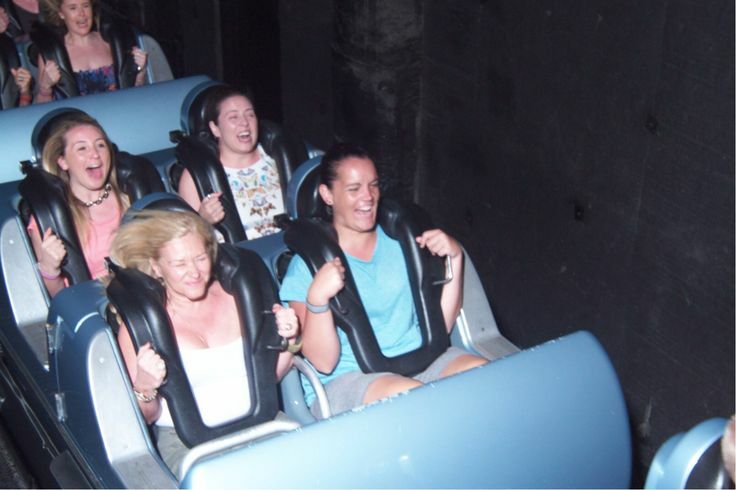 Our Memory Maker photo from this ride is excellent as they take a photo of you just as the rollercoaster takes off which makes it challenging to strike a pose. With smiles across everyone’s faces we moved on to tackle ride number two which was Toy Story Mania. This was unlike any attraction or ride I had ever done before – be warned if you are competitive you may be at danger of taking this experience too seriously! Everyone is paired off and zipped through a virtual, 4D shootin’ gallery of 5 carnival games inside Toy Story Andy’s room. Your individual marks will be added up as you complete the games in the limited time – look out for special targets to get extra points! From Toy Story Mania we headed for The Legend of Captain Jack Sparrow and honestly I thought this ride would be much scarier than it ended up being…but I guess that’s is a good thing as it means all the family can do it together. It doesn’t take a genius to work out that this attraction has been inspired by the Walt Disney film series Pirates of the Caribbean. As I have mentioned before Disney does story telling extremely well and this ride is no exception. 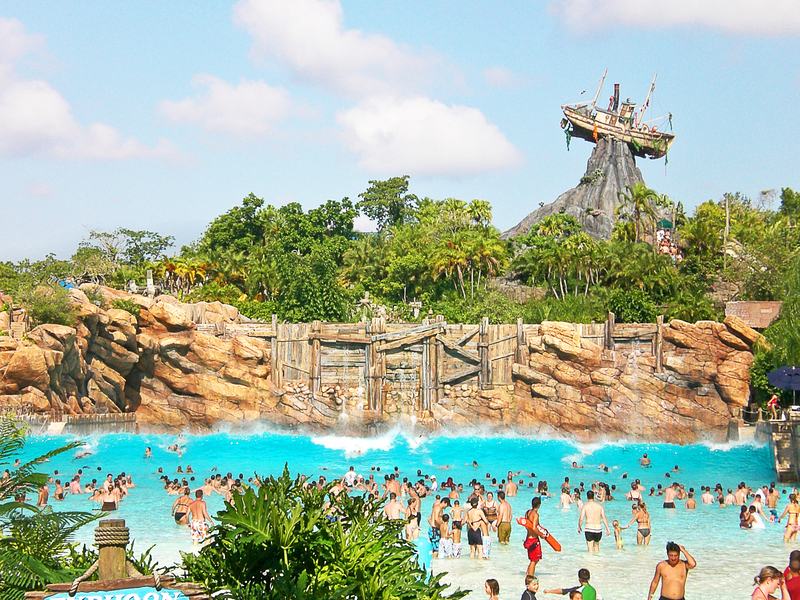 You will feel completely immersed in the action as your journey round – but make sure that you count how many Jack Sparrows you see as rumour has it Johnny Depp himself hides in the ride...on a normal day you should see jack Sparrow 3 times. Next up we went to experience one of the older attractions in Hollywood Studios to relive some of the greatest movie moments in history – The Great Movie Ride. This attraction takes you on a journey through lavish movie sets and will also feature almost 50 lifelike replicas of legendary movie stars. I think this ride is a nice celebration of the Hollywood movies but for me it is one that I would be rushing back to Disney World to do again. It is quite a slow attraction which takes around 20 minutes to complete, making it a great one to calm your nerves after doing one of the more extreme rides such as Rock ‘n’ Roller Coaster. Last but certainly not least we went to experience– The Tower of Terror. Apart from the Dumbo ride this was the other one that I could remember from being in at Walt Disney World almost 20 years before, so I was keen to see why this ride made such an impact on me. Once you leave the library you will make your way to the elevator. When seated and strapped in the fun really begins as you are launched upwards and then downwards in the darkness at the same time as being exposed to many sights and sounds, including gazing through a missing wall 13 stories high revealing the hotel grounds. I won’t say any more as I would hate to ruin it for you, but I thought this was the best ride in Hollywood Studios and I recommend that you definately make time for it…you won’t be disappointed! The Tower of Terror marked the not only our last ride of the day but our last ride of our trip to Walt Disney World. ‘Fantasmic!’ is a show which brings together favourite Disney heroes, princesses and villains. The performance will take you into the colourful imagination of Mickey Mouse as the Sorcerer’s Apprentice, as he invokes the characters and spirit of many Disney classics. One of my favourite parts was getting to see re-enacted scenes from Pocahontas…which was one of my most loved Disney movies growing up. There are a few scarier moments as the Disney Villains such as Ursula and Cruella de Vil try to turn Micky Mouses dreams into a mightmare, but no need to panic as our pal Mickey saves the day. This is a great show to fit in to your schedule if you are visiting Disney World for a few days, especially as it will give you exposure to a vast range of Disney characters. We all met up for breakfast the next morning and were all extremely intrigued about what our final surprise could possibly be! As we filled up on yet another delicious American breakfast, Laura (our Disney host) announced that someone high up on the Disney Corporation really wanted to thank us for taking the time to come over to Walt Disney World from the UK and for being so enthusiastic…can you guess who it was? 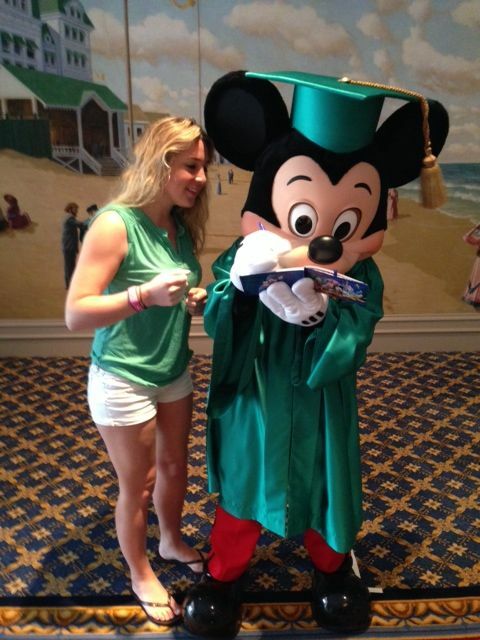 Yep it was MICKEY MOUSE! He had come in his graduation robes to say a very special goodbye, complete with photos, cuddles and of course signing our autograph books.